Starting from March 1, 2018, IdeaGist will provide gift certificates to participating educational institutions for one-year virtual incubation under the “Idea of the Month” program. These gift certificates are initially sponsored by Bir Ventures USA for up to ten certificates per month. IdeaGist team will try to secure more sponsorships from interested parties that would like to support student entrepreneurs. The purpose of this program is to encourage young entrepreneurs in developing their startup ideas and offer experiential learning opportunities. Under this program, an organized student body/club with an active entrepreneur support program will receive 12 virtual incubation awards every year, each valued at $499. Participating club will be able to give one award every month to any student with a good idea. The club will have full autonomy on who to give and how to select the recipient of the award. Students receiving the award will get our virtual incubation hosting for one year. No purchase is necessary. It includes access to a step-by-step process, tools, templates, and learning resources. It also includes access to 10 team members, co-founder wanted listings, investors wanted listings, non-disclosure agreement management, and access to 100+ free services. For 2018, 120 awards are sponsored by our investors, Bir Ventures USA. We will seek more sponsorships in the future to fund additional awards. Ideas are accepted from all students without discrimination. The student receiving the award must be announced on an open platform, like a newsletter, social media, student publication, or on your website. A student cannot receive more than one award in one year. These awards have no cash value and cannot be transferred in cash. The awarding club cannot charge any kind of fee or ask for other favors in return for the awards. The awarding club must inform us in a timely manner the recipient information using a simple reporting form. Access to the form will be provided to the club president. Student body/club must be registered with the university or college as a recognized group. Helping student entrepreneurs and/or innovators must be part of the body/club’s charter, mission, or goals. Entrepreneur or innovation group must meet on a regular basis. There has to be some kind of online presence for the body/club like a website, Facebook page, a blog, a page on the university site, a LinkedIn page, etc. Institute of Management Studies at the University of Peshawar. 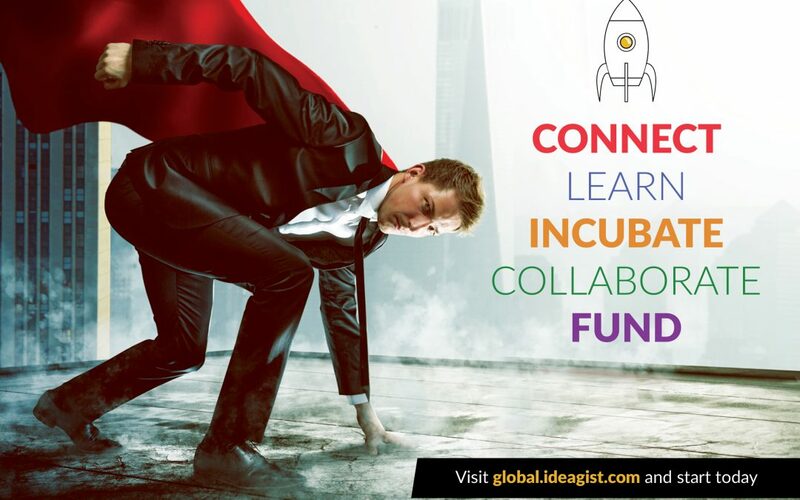 IdeaGist is the largest virtual incubator in the world. It connects people from 360 communities worldwide. IdeaGist helps entrepreneurs in developing their early stage ideas into viable products through a unique virtual incubation program. Our virtual incubation program currently offers a 60 steps process with tools, templates, and learning resources for each step. In addition the incubation, IdeaGist also offers co-founders listing, job postings, startup showcase, and recently we have started a global investors pitch program.